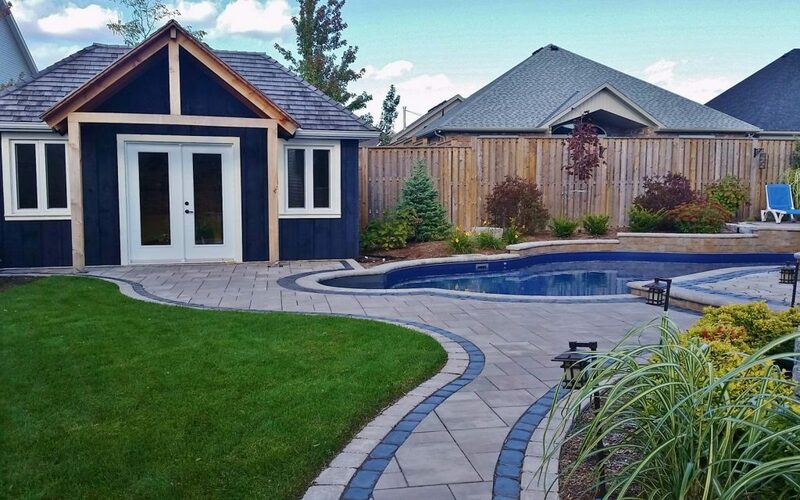 This elegance free-form pool landscaping design with the matching cottage-looking cabana creates a piece of paradise at the back door where family can relax, breathe, enjoy peaceful moments in the sun ‘away’ from it all; the children’s extension of the home to spend fun-filled days with their friends. 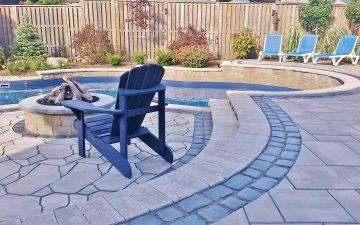 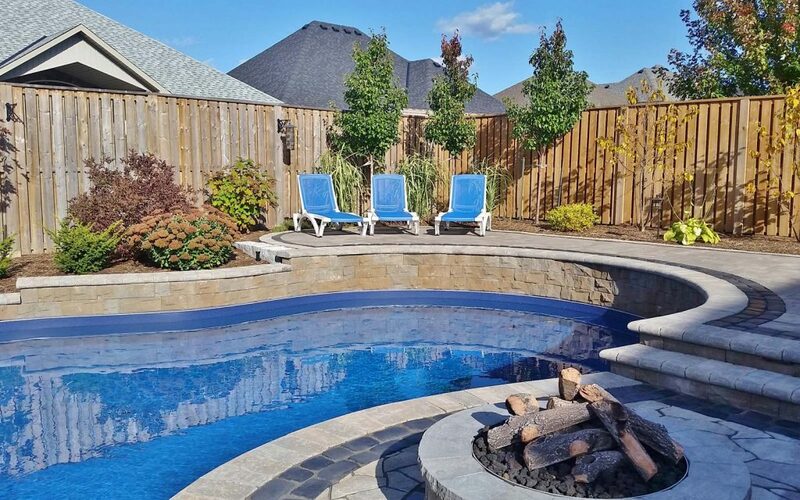 Colourful plans, multilevel pool deck, dining terrace and fire place patio make a perfect outdoor space to enjoy. 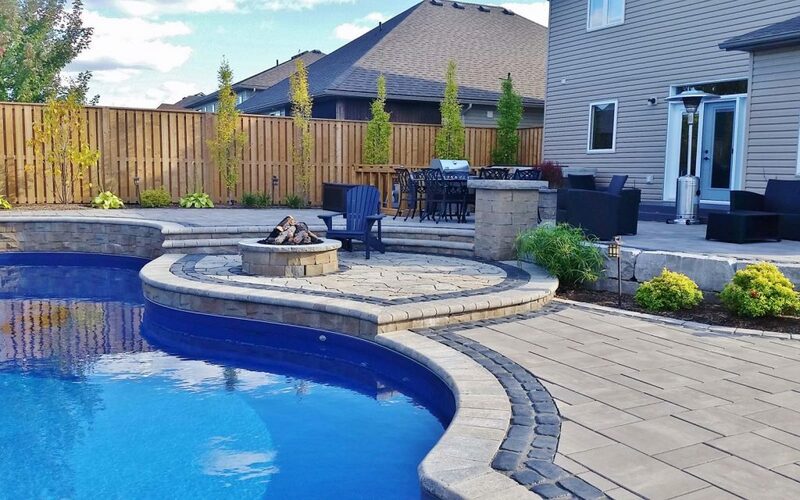 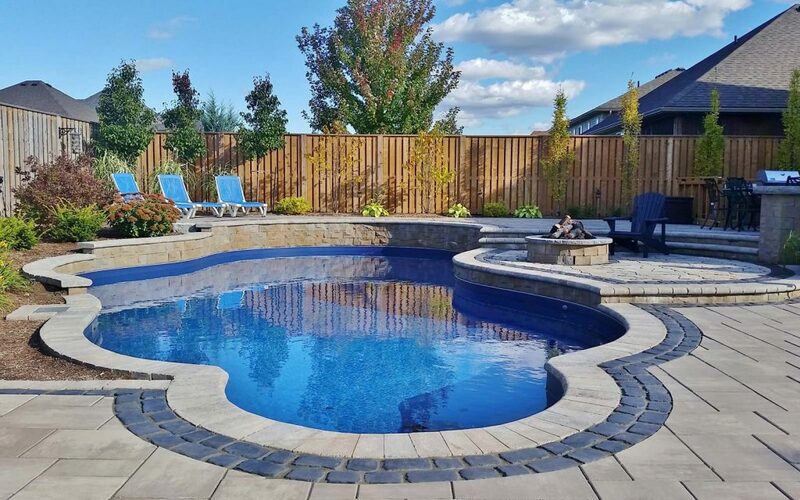 Instead of building a retaining wall to level the whole back yard for pool installation, it was decided to use existing elevation for functional and aesthetic advantage. 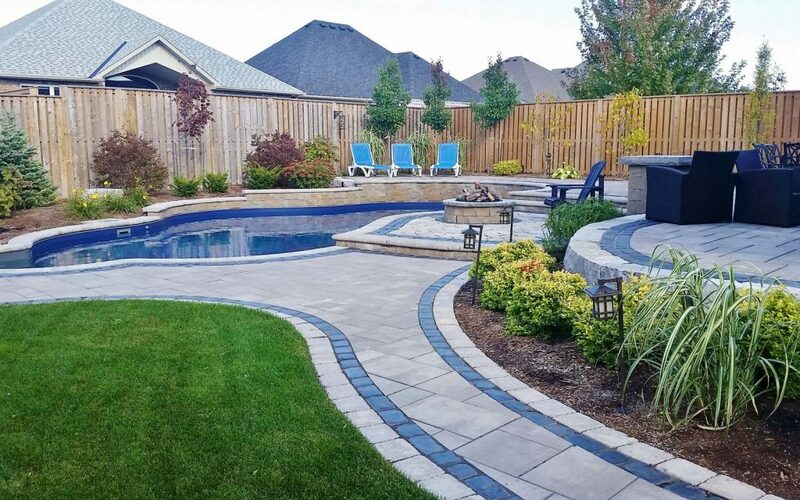 It created different zones divided by elevations, steps and row of armourstone retaining wall. An elevated pool wall with upper deck look spectacular and may be used as jumping board in to the deep end of the pool. 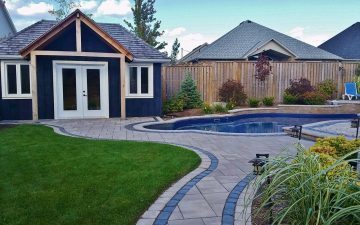 Outdoor kitchen with built-in-BBQ and dining patio was designed conveniently a the back door of the house and is beautifully surrounded by the planting and stone boulders. 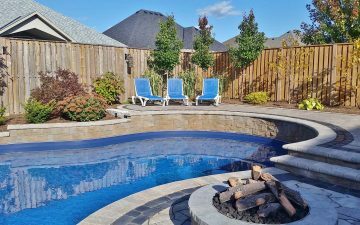 There is no greater way to create a dramatic impact to the backyard to add sizzle than with fire and water. 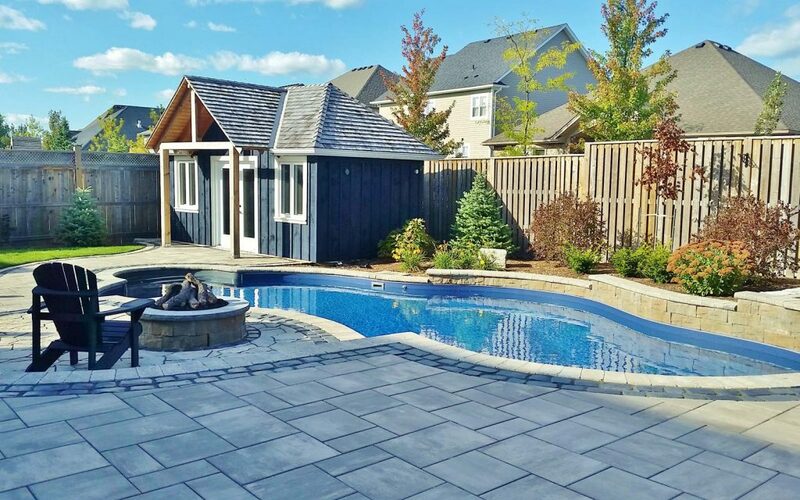 Especially magical is a setting with a fireplace as evening converges. 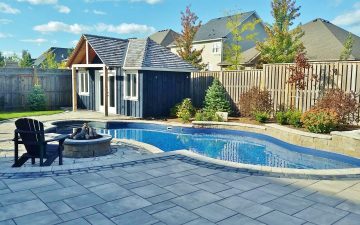 Good functional size pool cabana is used for storage and changing room and was designed to complement a deep blue colour of the pool liner and overall naturalistic style of landscaping. Cobble stone accent raw of the pavers graciously connects all zones and enhances even more a flowing design pattern.